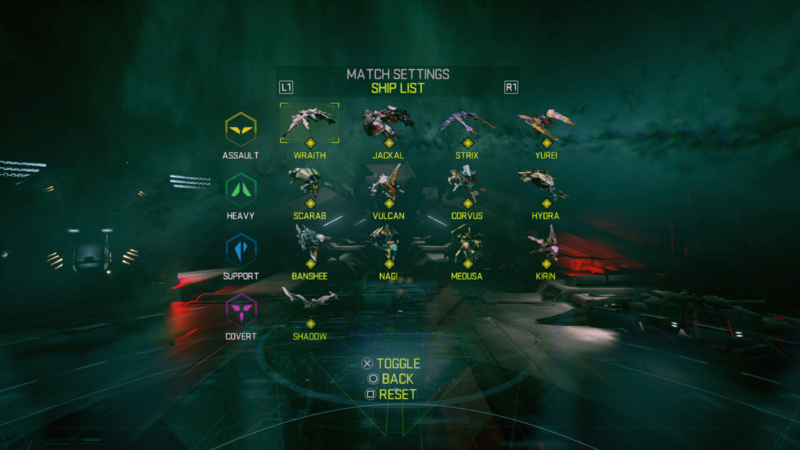 Everyone has their own favorite game mode and map in EVE: Valkyrie – Warzone, but the game's map and mode rotation system means that you can’t always get what you want. While it's no great hardship to play a game of Team Deathmatch in Crossroads when you really had your heart set on heading to Solitude for a bit of Extraction, we're sure that you've often wished that you had a little control over what you get to play and where. Well, it's time to grant your wish. The Winter Update is almost upon us, and as well as a new Spectator Mode, it also brings with it the much-requested ability to set up your own custom matches, and it's going to totally change the way you play Warzone. With Custom Matches it's easy to set up the battles you want, whenever you want to fight them, and there are loads of options available to make sure everything plays the way you want it. All custom matches are hosted on our official dedicated servers, you can control access to your game via passcodes and invites, and there's also a public server browser if you prefer a bit of a free-for-all. When you set up a custom match you have full control over map rotation and available game modes, so if you only want to play Carrier Assault in Fleet then you're welcome to do so (although you might find that everyone else starts to get a bit bored after the first 20 or so matches). And if you want to go deeper in setting up your games, you'll find a stack of options that you can play with to tweak the game for maximum enjoyment – or maximum carnage, if you prefer. Each mode has its own specific settings that you can adjust how long carrier shields come down for and whether carrier turrets are enabled or not. 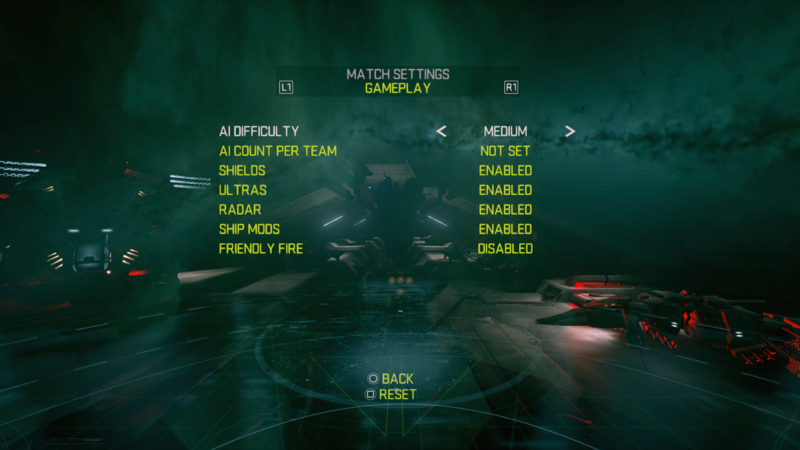 Beyond the mode-specific settings, there are plenty of general gameplay settings for you to twiddle as well. Don't like Ultras? Disable them! Like a nice level playing field? Turn off ship mods! And if you're keen on seeing things go boom, switch on friendly fire and disable all shields; that should spice things up a bit. You're going to have a lot of fun with custom matches, whether you want to breathe some new life into familiar old maps and game modes, or go mad and set up some insanely explosive battles that aren’t for the faint-hearted. 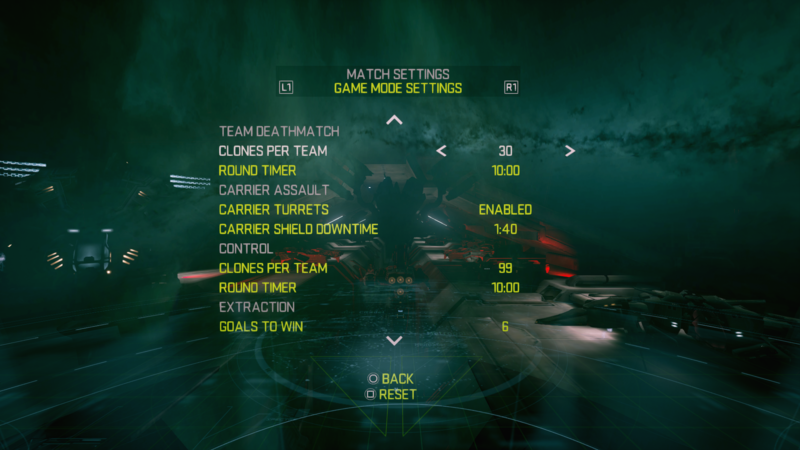 And while Custom Matches and Spectator Mode might seem like a pretty generous EVE: Valkyrie – Warzone update, we're not quite done yet. The final thing in the Winter Update that you need to know about is a whole new map. Inspired by the latest EVE: Online Lifeblood expansion, Moon Refinery is a stunning new map set against the backdrop of an enormous moon mining operation. If you're a keen EVE ship spotter you'll find plenty to delight you here – the map's filled with Venture, Procurer, Retriever, Orca, Primae, Rorqual and Bowhead ships for you to weave around – and the level's thick with heavy duty laser destruction that might have you reaching for the brightness controls on your monitor. So, how much will all these cool new enhancements cost you? If you've been around EVE: Valkyrie – Warzone for a while then you can probably guess; the Winter Update will be available for free very soon indeed. Be sure to follow @EVEValkyrie on Twitter so that you can be notified the very second that the Winter Update goes live, and while we're sure you're getting excited about all these amazing new toys, don't get too carried away; stay focused and fly safe!